Hosting your own fundraising event for WRC makes a huge difference in the lives of the clients we serve. We are constantly overwhelmed at how the community steps up to help support WRC by giving their time, passion, and dedication to our mission. We have opportunities for individuals, community groups and companies looking for a personal way to assist WRC. Your fundraiser can significantly improve the lives of those affected by the crimes of domestic violence and sexual assault. When our clients learn that people in the community they have never met are willing to invest in their family’s future safety and happiness it means the world to them. 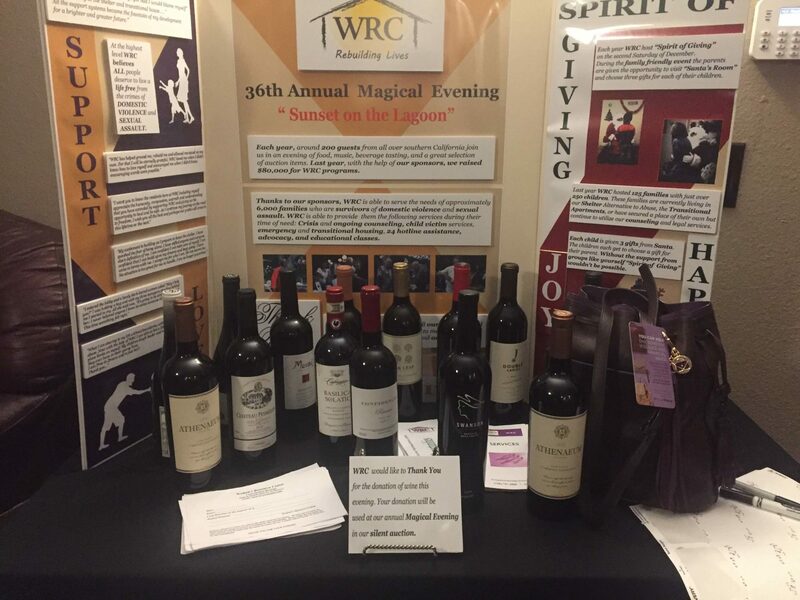 Invite your friends to support WRC’s fundraising efforts by asking guests to bring a bottle of their favorite wine valued at $30 and above. The bottles will be used to raise funds at our annual “Magical Evening” event, or guests could bring a toy for a child to support our “Spirit of Giving” holiday event. These events are a perfect opportunity for your friends, family and colleagues to learn more about WRC and why you have chosen to be a part of our mission, all while helping us collect much needed items and raise funds! If you are interested in hosting or creating your very own event, please contact Lauren-Jane today. We look forward to hearing from you and working together in the future!